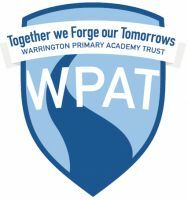 Warrington Primary Academy Trust was established on 16th May 2016, when three Warrington primary schools formed a Multi-Academy Trust. We are a converter academy, led by educational professionals, and have recently grown with two new schools joining in 2018 and a pipeline of new members forecast. As the first Multi-Academy Trust to form in Warrington, we have forged an expectation of excellence in all that we do. The impact of our work continues to be seen in the progress and performance of the children in our schools. All WPAT schools are currently rated as good or outstanding in their latest Ofsted reports. As examples of our high standards, in 2018 one of our schools was ranked the second best primary school in the country for pupils achieving the greatest depth (and highest scores) in reading, writing and maths. In addition, two schools are consistently listed in the top 100 of all primary schools across the country.